Shortly after I posted about fläderblomssaft (elderflower cordial) last June, I learned that you can also make a drink out of lilacs, but it was too late. The lilacs were gone. So I have been waiting patiently since last spring for the lilacs to bloom again. They have been full tilt for a week or so and I finally got the chance to pick a bunch of them at the park across the street. I’m not sure whey I felt like a criminal picking them, but I did. Maybe because people here know what you are intending to do with elderflowers and it’s acceptable to pick them. Syrenersaft, however, is not common at all so I felt much more self-conscious. I followed the same recipe for the fläderblomssaft. My best intentions were to pick the flowers early in the morning before the sun hit them so they would be at peak fragrance but two factors made this nearly impossible 1) I’m not a morning person and 2) the sun comes up so early this time of year that goal was beyond ambitious. Swedish saft is fruit/flowers and/or berry juice boiled with sugar to create a concentrate that becomes drinkable when water is added. My favorite saft is fläderblomssaft closely followed by black currant. There are several different varieties of lilacs in my neighborhood and I’ve been scoping them out since they started emerging trying to pinpoint which were the most fragrant. Aim for flowers that have a strong fragrance otherwise your end product could potentially just be pink, sugary/lemon syrup. The darkest purple lilacs in my area had next to no scent but next time I will include a handful to intensify the color. 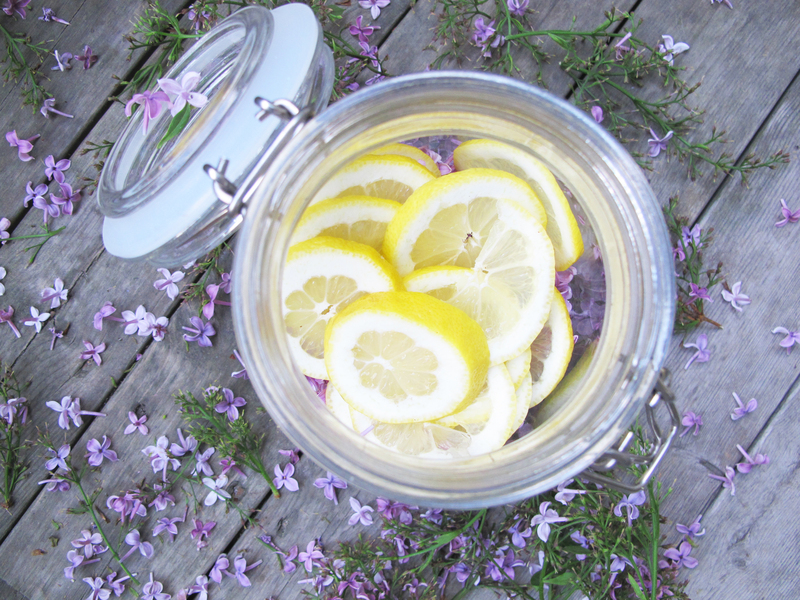 Even though the lilacs I used were lavendar the cordial ended up being pink. The final result is dry and tart, a bit like cranberry juice but much more subtle and rather undefineable. It’s not going to surpass my love for fläderblomssaft, but it was a fun and easy project worth doing. My apologies if this has peaked your interest and your lilac season is already over (which is quite possible since in this part of the world we are among the last in the northern hemisphere to enjoy spring). 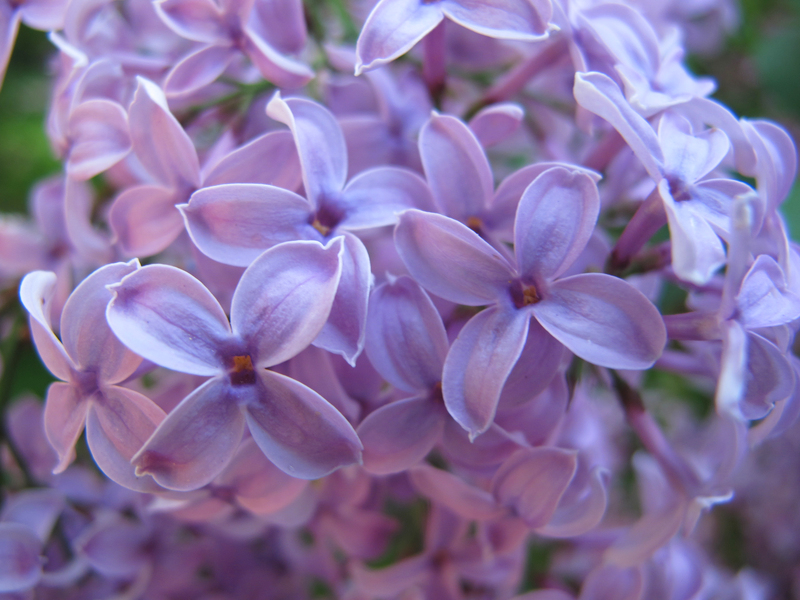 If you still have some lilacs within reach and are feeling inspired, give this a try now. Otherwise, keep it in mind for next year. 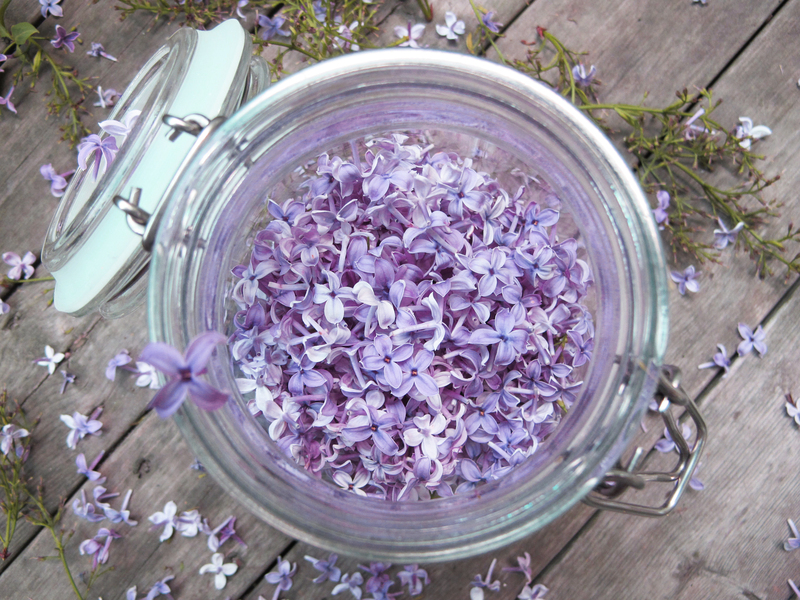 Strip the lilac flowers from their stems and place them in a non-reactive container(s) that is large enough to accommodate one gallon (4 liters). Place the lemon slices on top of the flowers. Bring the water and sugar to boil in a large pot stirring periodically to dissolve the sugar. Remove from heat and stir in the citric acid until it dissolves. 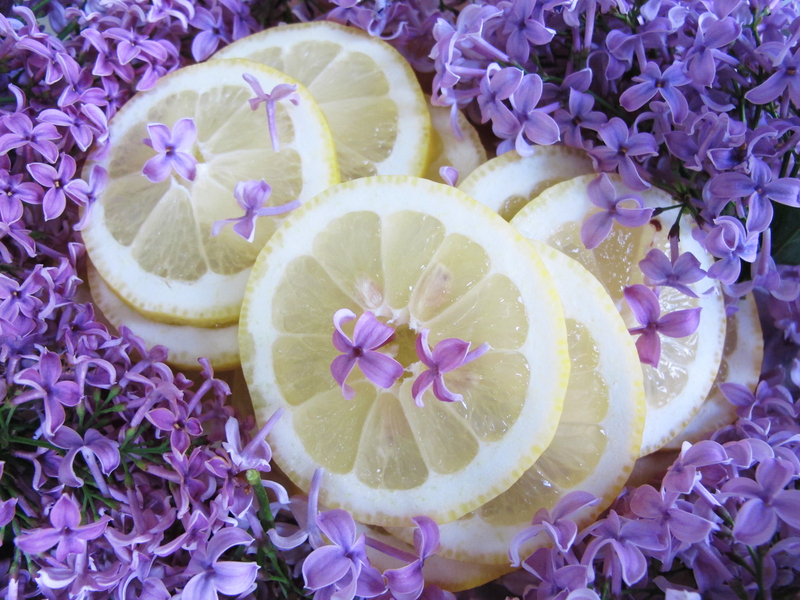 Carefully pour the hot liquid over the lemon slices and lilacs. Stir everything well and cover the container with a lid or a towel and let sit in a cool, dark place for 3-5 days. You can stir the syrup once daily if you like. After 3-5 days nest a piece of cheese cloth in a fine mesh strainer or use a saftsil and pour the syrup into clean containers. Discard the flowers, lemons, and debris. Store the syrup in the refrigerator or freezer. Serve it diluted with ice water or sparkling water to taste, try it in lemonade, add it to champagne, pour it over ice cream, or make a lovely floral-scented sorbet. cook’s tip: Instead of using one giant container, divide the flowers and lemons between two smaller containers and divide the liquid evenly over them. Your photos are always so gorgeous and saturated with color! Thanks Beth. It’s really fun to work on this blog so it’s always nice to hear when someone is enjoying it. Hope you are all well. Could you give a guide to pronouncing ‘syrenersaft’ please? Thanks. We were at Mary’s as you know. Debbie and Steve were there (from Iowa) and said they really enjoyed Semiswede. Nice that you got to see Debbie and Steve. I don’t think I’ve seen them since I was about 13 years old. Bah, our lilacs just finished here too. Will have to remember to try this next year. The photos are completely beautiful!!!!!! Loved them. Sorry. Of course I’m never as early getting these things done as I would like to be. They are nearly finished here now too. Glad you enjoyed the post and let me know if you try making this next year. Miss you. 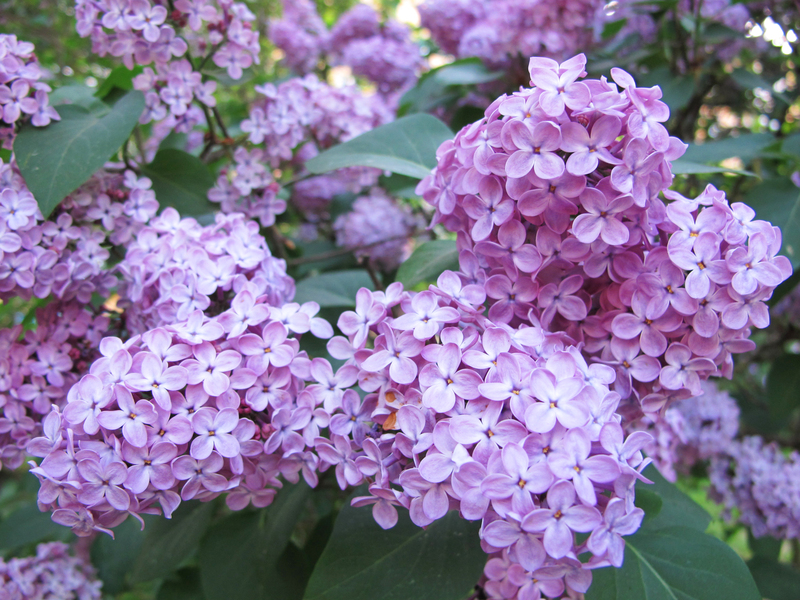 I have over a dozen lilac bushes (both light and dark), so this is a “must try” for me next year! And, as always, your photos are amazing! Reblogged this on Good Witches Garden and Homestead. 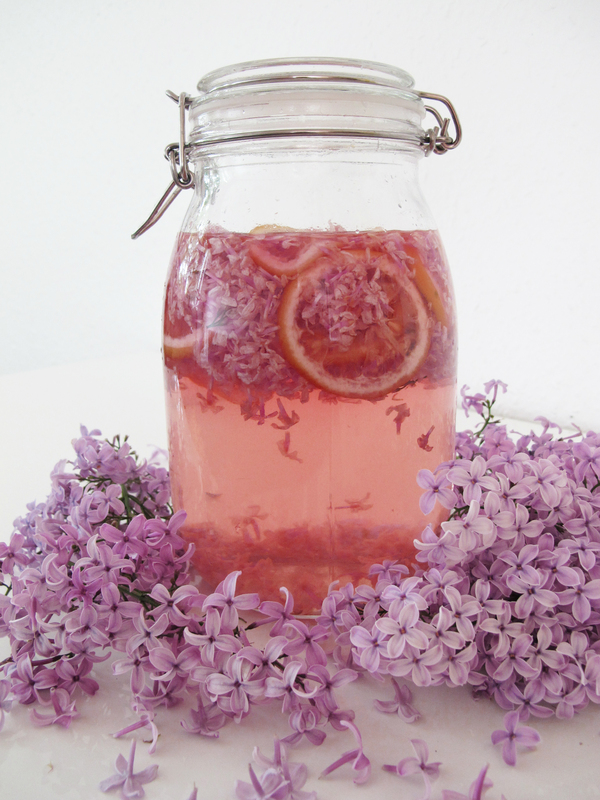 Hi, it’s soon goinf to be lilac season here in Madrid, Spain, and I’d love to make this drink. can I replace the citric acid for lemon juice? How much would I use? Perhaps you could add another lemon and plan to use the cordial up more quickly. There are some suggestions about substitutions of lemon for citric acid if you do an internet search. Thanks! I did do an Internet search, but the indications I found were specific of other uses and I was wondering what to do in this case. I’ll try the extra lemon.